If you're a singer, you have probably experienced the feeling: You start vocalizing and notice it's ominously more difficult than usual. It doesn't feel like your vocal cords (folds) are inflamed, sore or swollen.. it just feels like something is gunking them up. You, my friend, most probably have too much mucus (commonly known as phlegm) on your cords. And it needs to get thinned out before you challenge your voice in full voice practice or performance! In the middle of your range, your voice just doesn't seem to be able to get into that beautiful sweet spot 'mix' you know you're capable of, so you feel like you have to push harder to reach notes. You may notice some weird 'glitches' - certain notes that you can't seem to sing smoothly through. You have trouble in your head voice, too... you know it shouldn't be that hard to hit the top of your range. You cough a little, gunk shifts and clears somewhat, but you can't cough enough to stay clear. Trying to sustain a long note that is normally easy for you to float out there becomes as uncontrolled as if you were singing over speed bumps. Your tone isn't as bell-like and brilliant.. it's more like singing through a wet sock. Again, sounding your voice isn't painful (which might make you suspect vocal cord damage of some kind), it just doesn't work like you know it should. The vocal cords need a thin, healthy layer of mucus to operate best. The covering of the cords is called a mucous membrane (note the different spelling - mucus is a noun, mucous is an adjective). The movement of the cords (folds) which creates soundwaves is called the mucosal wave for heaven's sake! But when this layer gets too thick, it can interfere with the vibration and control of the vocal cords. AHHH ... what can you do??? My personal magical go-too for irritated cords is water with a little pineapple juice (1 part juice to 3 or 4 parts water). Water with fresh lemon juice plus cayenne pepper (one of my sisters calls this 'firewater'). Try hot herbal teas, but avoid black or green tea or caffeinated drinks which can dehydrate and thicken that mucus right back up. Be sure to have these drinks available when you're rehearsing and performing. Also hydrate yourself externally... inhale steam. Try avoiding mucus-promoting foods such as milk products, eggs, foods you have trouble digesting well and heavy meals in general. Up your intake of watery foods, fruits, non-starchy vegetables. Understand however that different people react differently to foods; keep a journal and NOTICE what tends to increase your phlegm. Watch eating chocolate before performance... I've noticed that it causes my vocal cord phlegm to increase! If it's allergies stirring up your mucus, you simply must address the root of your problems. Lots of successful strategies for dealing with allergies help significantly with vocal cord phlegm. You can find free downloadable vocal recovery exercises at my blogpost on laryngitis. Move around physically, too... aerobic exercise can help move mucus on out. CAUTION: If in doubt, check it out... with a doctor! If you are blowing or coughing yellow or green or have any indications that your mucous formation could be due to a bacterial or fungal infection, make the appointment today - see a medical doctor. That goes for signs of serious acid reflux as well. In persistent cases of excessive phlegm you might want to get your vocal cords scoped at a dedicated medical voice center. Using a Neti Pot or other nasal irrigation device at bedtime and in the morning can really thin out and dilute mucus secretions from above your vocal cords, as well as soothe throat tissues. The important thing is to get the saline solution right, so follow directions! Also... be sure to use clean water. There are herbs, essential oils and other alternative remedies for dealing with counterproductive amounts of mucus. As with medical doctors, I recommend going to a professional in the alternative health arena so you don't self-medicate without good information. ... cough hard or repeatedly. Coughing is a great way to get laryngitis! ... drink alcohol or smoke. Duh. ... don't abuse your already unhappy vocal cords in any way, whether speaking or singing! ... over-dry your vocal cords with over-the-counter medications. In Voice Council Magazine, Dr. Tom Harris, London's renown retired ENT surgeon recommends against decongestants and antihistamines for singers and speakers because they dehydrate and thicken the mucus too much, except for asthma and allergic conditions. Then try antihistamines but monitor the drying effect on your voice before taking them for performance. OK what about you... ever feel like you are about to drown in phlegm? What worked/ didn't work? When I feel that thick layer of mucus, along with other things such as drinking hot water and breathing in the steam, I do a humming vocal exercise first. It seems to be just vigorous enough to shake off some of the mucus from my vocal cords but not so vigorous that it will make them feel worse. So,I want to know if my issue is mucus-related and allergies-related. I have bad allergies. I get sneezing attacks, itchy eyes, roof of mouth, back of throat, ears, etc. I used to be able to sing easier than I am now and hit higher notes. But my range has shrunk and I am not sure why. I have no pain, no burning sensation etc. that would let me know I am doing something wrong. It's just that when I try to sing higher, no sound comes out. Just the sound of whistling air, soft high-pitched squeals and that's it. It just feels like something is not letting me hit the higher resonance of my voice and I'm not sure why. Sometimes when I drink water and sing a plain high-ish note, it sounds higher than it did before I drank the water but just as quickly, like a switch was turned off, it goes back down to sounding dull and low. I don't know why this happens. Again, no pain or burning. It just sounds like my voice is being held back by something and I am sick of it! Hi Anon... first of all, please note that I am not a doctor and can't make personal diagnosis. I'm sorry you're having trouble, I can hear in your words that you are very frustrated and I don't blame you. It does sound like your issue is related to your allergy symptoms, and possibly to dehydration, as well as some counterproductive vocal technique habits you've gotten into. Yes indeed, vocal warmups would be great but only if you do them with correct form. You need to use your voice without strain. Try the tips in this blogpost I wrote about laryngitis: http://blog.judyrodman.com/2009/02/laryngitis-scare-how-to-get-your-voice.html . If you need a personal lesson, just let me know. Good luck! Past few years my voice has had varying degrees of mucus and at times cannot sing at all due to what seems like mild laryngitis. Different registers can be affected in any combination, sometimes I have a voice so clear I have my full range. At times my speaking voice is also affected. I don't have runny, stuffy, watery anything. I feel fine except for the vocal issue. Thoughts? Hi Flipsyde41... You could have nothing to worry about or you could have any number of things, including the beginnings of vocal nodules or polyps, laryngopharyngeal reflux (silent acid reflux), very mild allergy, Spasmodic Dysphonia or muscle tension dysphonia, vocal cord partial paralysis, and more. OR... you could simply by dehydrated from time to time. OR... you could have some bad vocal habits causing you chronic strain and fatigue, then when you rest you have your voice back for a time til the strain builds again. Even hormone imbalances can affect your voice. Here's the thing: Any time there is a mystery associated with speaking or singing, I recommend getting checked out to rule out anything serious... and to figure out what specifically you can do about it. Hope you find that you only need to drink a lot more water! Drink plenty of water so not that. Got checked before, but I didn't feel the talk was very thorough. Will get checked again. Thanks. Hi all , I'm a male 32 and finding my voice very frustrating , one day it's on top flight and can hit cracking notes then gone back to one octave , range I find it so frustrating , it's after 2-3pm it's gets worse , I end up going to rehearsals depressed and no confidence . I have a strong falsetto and chest voice on a good day I can nail bohemian rhapsody then next it week it's a struggle to hit standard range . I feel I'm going backwards . No pain in vocals just lose range inconsistent vocals . Hi anonymous; the vocal problems and inconsistencies you are describing can be due to many things. I could be that you need to get a mucous or other physical condition fixed, or you could need some much better vocal technique. I know how frustrating it can be when you don't know what to do ... because you haven't gotten to the root cause(s) of your voices' troubles. My suggestion is to get checked out... by a good vocal coach first, and possibly a doc if a question about organic issues is found at your assessment lesson. The improvement in your voice and in your confidence should be immediate, and you should have an understanding of what continuing remedy is needed. Don't stop until you find your answer(s)... but again, I would suggest a personal assessment. I got brave several years ago and got on a karaoke stage. At the time I was a smoker and noticed that it was very hard to even carry a tune in a bucket. Still I stuck with the weekly fun I was having. Then last June I quit smoking and started drinking more H2O than I ever had before. WOW what a difference that made in alot of areas!! I noticed just by doing those 2 things that I wasn't straining and could actually wake up the next morning and not sound like a frog. Not really sure if I even know how to sing but am having fun with it and nobody is throwing tomatoes. Just thought I would share that with you and let you know that I do like you blog and bookmarked it. Any tips on where to go to find out if I can actually sing or not (I might have a hearing prob...lol) would be appreciated. Hi Anonymous... congratulations on finding out your voice feels good! Also kudos to you for quitting smoking! As to assessing how good your singing is right now, here are some suggestions. 1. Trust your audience's opinion - and it sounds like your joyful noises are being appreciated, so GREAT! How big an audience do you want to sing for? You might be interested in reading this post http://blog.judyrodman.com/2014/01/how-to-make-it-in-music-business.html. 2. Get a vocal lesson where the coach will assess your strengths and weaknesses. Even 1/2 hour lesson should tell you a lot, and help you up a level. 3. Purchase the download of Power, Path & Performance condensed 1-CD. It's inexpensive, and has a good self-assessment test in it. Good luck and keep having a blast exploring your creative side! i've been hoarse for a little less than a week. at first it was minimal and i could sing throught it... then i had to eliminate certain songs due to range or just certain vowels at the higher ranges... now i really have to rest my voice. I think it is mucous related as musinex has helped but musinex and all the other things i do (nasal irrigation, steaming, hydrate, diet, etc) have not rid me of it. so.. i'm thinking i have a virus that has to pass through. after this snow storm allows I will head on to my ENT but in the meantime I wonder, if it is what I suspect, how long can something like this last? Whew, Gary, sounds like you've been doing a lot of things right and still having trouble! I think you may be correct that it may actually be a virus. Or you may have some silent reflux. I see you've looked at your diet, but you might try keeping a journal of the things you eat and drink and take note of what seems to make it worse. Don't hurt your cords though... keep doing the nasal irrigation, steaming, hydrating and resting your voice. Allow this to pass. And yes, head to your ENT. When any active inflammation subsides, carefully start some easy vocal exercises and go from there. Stay warm in this weather! thanks Judy... wow... such a quick response... and yes... "WE are staying warm. Gary... the thing you have to watch is straining injured cords. Just like any injury... limit how you use the area (in this case your vocal cords) until it heals. You really need to know how to warmup, If you'd like a lesson, even 1/2 hour ($50) could help you. I teach by Skype all over the world, so distance isn't an issue. Good luck, and let me know if you'd like a lesson.! sounds good, Judy...I would like to do that..
regularly I do lip rolls (after an initial few minutes I lip roll to a couple of songs with varying vocal ranges) and vocal fry and one or two others that are hard to explain in words (ha) as these have worked in getting me ready to go. But I sometimes wonder if singing as much as I do, with many songs having a significant vocal range, i.e. NY NY, My Way, Beyond the Sea and Mack the Knife and although I don't strain, these are the first songs to go when I start experiencing any vocal issues.. so I would love to do exercises that would prevent vocal issues if at all possible. let me know the next step. Thanks! Sure, Gary... just contact me at judy@judyrodman.com and let me know your availability (best day/timeframe) you'd like to schedule a lesson. Leave me your phone # if you'd like for me to call. Thank you for the lemon juice tip!! I just tried lime juice and some luke warm water... Worked almost immediately!!! Huge life saver, thank you. Lydia, I am so sorry you're having this trouble. You know, vocal rest could do a lot of good indeed, if when you start back singing you are using vocal techniques that help you not press too much air through your vocal cords. However, I also highly advise you to get your vocal cords examined (scoped) by a laryngologist - preferably one who specializes in the voice. Here in the US these doctors are 'fellowship-trained laryngologists', which means they have an extra period of training specifically for issues pertaining to the voice. I can tell by your panic that you are very passionate about your voice, but yes, sometimes you need to stop, breathe, and be silent. If you continue to have trouble, you or your vocal coach could contact me about a lesson in breath control and open throat technique. My very situation is exactly like this article you've written.. I really don't have mucus problem in the past, but then now I can't even sing the simplest of the simplest song.. It's very hard for me to sing now.. Back then people who can hear me sing loves my voice.. But now that I don't sing, they're asking me why, I can't answer them because I'm too embarrassed.. Also back then I can sing and hit high notes, but now I can't and I'm really sad about that.. I've already tried almost all that I searched in the internet and also the do's and don'ts except having a check up in the doctor..
Because I want to get rid of it without consulting.. I really want this mucus to get thinner and sing and have a performance in our church again..
Is there anything else that can help me get through this? By the way I'm taking a lime method now.. And it seems to work slowly but still it won't get out..
Hi John, here's the thing... you simply must get to the root of the excessive mucous formation. That almost always entails diet and hydration habits. You would do well to consult with a natural health practitioner to explore what is causing your problems, and your overall health should also improve. Hi judy i never sung before until a couple of days ago. I've been practicing voice exercises to improve my voice. i,'ve noticed lately that whenever i have dairy like milk and cheese my mucus seems to get thicker.i always have to clear my throat because i feel mucus in my throat and it seems never-ending no matter what i take i can't seem to get rid of my mucus.i get so fustrated that i don't know what to do.I ,'ve been dealing with it for years now i taken medicine for it but a lot of it is still in my throat.do you have any tips for getting rid of mucus because the stuff i tried hasn't worked what should i do. Anonymous: Read and apply the recommendations in this post. Get into nutrition, make necessary diet changes and avoid allergens. i sing quite regular but 3 days ago my throat felt heavy and felt as if i had lost my power and my upper range, i have tried drinking lots of water i dident feel any real difference so i went to the chemist explained and they gave me vocalzone lozenges. ive been having them every 2 hours and i started to feel better alot of mucas was coming up, now this evening my throat feels as it did when the problem first started, any ideas what it could be? Anonymous, it sounds like either you have allergies, a cold, or wrong diet for you. If it continues, check it out with your doc or natural health professional. Do try the dilute pineapple juice. My daughter has been in vocal lessons for quite some time now. She loves it, but gets frustrated when she can't do what she knows she can. For example, during allergy season, she can't sing as clearly as she usually does. I'm going to shower this article, so that she can try some of these tips. When you party, smoke, drink and stay up late, you have no voice or its raspy the next day. That's exactly how my voice sounds for the past two months, when I try to hit the high notes, but without any of the partying. Please help! 1. you're allergic to something causing irritation to your cords, 2. you may be chronically dehydrated, 3. you are using bad vocal technique.... could be a guarded posture (happens a lot when you're worried about your voice), pushed breath (trying too hard), tight throat channel (head forward, body crunched in), acid reflux, etc. For now: rest your voice whenever possible; DON'T challenge it too soon. Try standing at a wall (head and heel against wall to open ribcage and throat) and see if your voice feels better in that more upright, open position. Drink pineapple juice, diluted, and tons of water. And go to the doc if you don't get significant relief soon! Chronic laryngitis has got to be investigated. I have a problem that a has gotten worse over the last 4 years or so. I do a lot of singing and I notice that I cannot get as low as I uses to. I sing bass and when I try to get low my voice gets quiet and has no edge to it if you know what I mean. Also when I sneeze there is quite a foul odor afterwards and I wonder if it could be from excessive mucus buildup somewhere. Could the two problems be related and am o on the right track? Shannon, first of all, you may have a chronic infection of some kind, and you need to get a doctor to check that longstanding issue out. No advice I give you here should substitute for a doctor's appointment and it sounds like you may be need one. And yes, excessive mucous can result in weird symptoms like that. But it could also be your vocal technique. Check out this post http://blog.judyrodman.com/2014/08/singing-low-notes-at-recording-mic.html . Hello Judy, My name is Oliver and I am new to singing. I have mainly been doing rock vocals. One day I was walking around my home and I inhaled through my mouth and it felt like I had swallowed a fly or something. I was not singing at the time. Since then I have not been able to hold a note in tune to well when singing from the deeper part of my throat, and it feels like something is blocked or not working. I did some research which led me to your great article. I do believe I have a fair amount of mucous build up, however I wasn't having any problems until I had that sensation of swallowing something whilst in haling which I thought was pretty strange. Was hoping I hadn't damaged anything as the vocals can be pretty strenuous, however I had been warming up, warming down and drinking plenty of water. However the day or two before this happened I hadn't been practicing or drinking to much water so I was wondering whether that may have impacted this? I welcome any thoughts or advice you may have. Thank you. Hi Oliver... hey, I once swallowed a bug at an outdoor concert! Had to really watch my mouth... the real danger is of course inhaling the little buggers. Swallowing one shouldn't really be a problem. Coughing from the experience (whether you swallowed on for real or just felt like you did) could be. Yes, a day or two of slight dehydration and lack of warmup before strenuous singing can cause problems. However with re-hydration and a little vocal rest, you should be able to get back to normal. Sometimes, you start a guarding behaviour after a vocal issue, to try and protect your voice. It counterproductively can cause tightness. If so, a vocal lesson could help a lot. All this said, however, if you continue to sense the presence of something foreign in your throat, or a continuing hoarseness of any kind, you should get scoped by a laryngologist to rule out anything serious. My best wishes for your speedy return to great rock vocals! I know this is an old post, but I had to comment. I speak for a living, so I am just as (or maybe, almost as) aware of my voice as a singer is. For years, I've had this issue where my voice was, more often than not, affected by mucus -- making it much more difficult to get that deep resonating (male) sound out of my voice. It seemed to get better as the workweek went on, but was never really great, the way I remembered it from my younger years. Realizing that it got better as the week went on, I analyzed what changed between the early part of the week and the latter part. The only thing I could come up with was that I didn't drink much water at all on the weekend, where during the week I'd drink about 1 to 1.5 liters a day. Two weeks ago I started an experiment. Increase my weekend water intake ... and boom!, my Monday voice was like my Friday voice. Then I thought, if a little water is good, more must be better. I upped my intake to 2.5 to 3 litres a day and wow -- what a difference. My voice is consistently exactly where I want it to be, every hour of every day. All this to say... drink a crapload of water if you want your voice to sound its best. And I say 'amen' to that, Anonymous... there is no substitute for enough water for the voice!! Thanks for your comment! I am 24 years old and I have had, what I believe to be mucus build up in my throat/vocal chords since I can remember. I have stopped drinking milk and other particular foods that make it worse. The biggest problem is that I have a very 'short' voice when the mucus has built up a lot, every now and then I am able to clear it with a cough, and I have my deep voice back for a short period. I find that drinking ridiculous amounts of water also helps. But I'm looking for a substance (if it exists) that can clear it completely to start fresh. Having a little voice is extremely frustrating. Have you tried anything I've posted about here? Especially the pineapple juice and water when you sing? Hi Judy, I'm a 33 year old female getting back into singing after a 15 year hiatus. I have been cast in a play with numerous musical numbers. Rehearsals have begun and singing for 2-3 hours a night has seemed to greatly increase my mucous production. I'm not clearing my throat all the time, and it is obviously affecting my ability to sing at my full range. I will try some of your listed suggestions, but I'm also wondering if part of the problem isn't related to doing too much too soon? How do I know if I should keep working my voice, and when I should back off and rest it? It seems to be getting more difficult to hit those high notes. Thank you! Hi Kara... your continuing vocal congestion could indeed be too much too soon, or could just be a condition of excess mucous that you need to get to the bottom of. A way you can tell is to see if any of my tips help, and also to check the feeling in your throat after you practice. If it hurts, you're technique is wrong or yes, you're doing too much too soon without building your stamina. Try some voice rest, then start building your voice again with shorter practice at first. Be very careful not to push too much air... you need to balance your breath support and breath control. If you'd like a vocal lesson on this, let me know. Bromhexine (a drug that causes the body to produce thinner mucous) is extremely effective... but no doubt not a long term solution. Getting enough water and proper rest probably are. I had a bad case of the cold in the summer then allergies took over so I was basically coughing for almost two and a half months starting August. Since that I notice that my high notes aren't crystal clear like they used to be. Also I may be overreacting, but I swear I hear a kind of ghost breath behind my voice since I've been sick. Is this normal? And can coughing damage my cords permanently? Hi Rachel... I feel for you! I myself just had a cough-centric cold that stole my voice completely for a few days. Coughing is indeed vocally abusive. My two thoughts for you are: 1. The edges of your vocal cords could very well have some kind of problem. It would be truly best for you to go to a laryngologist and get your vocal cords scoped to see if there is any damage or irritation. 2. Even if there is damage, you can almost always safely get your voice back with proper voice rest and then a reset of better technique. You need to learn to use your breath very efficiently to coax your vocal cords back to health. Seek out vocal training for that. You could study my materials (cheapest is the digital CD on my site) or take lessons. But whatever you choose to study, make sure the techniques suggested do NOT hurt when you do them. I wish you the very best in vocal healing! I am a 52 yr old male and I'm a countertenor; well, I WAS a countertenor. Lol. I traditionally was used to about 4.5 - 5 solid octaves, including: head, chest, and belt - not so much of a "falsetto." After reading all of your wonderful advice to all of these beautiful people, I am fairly certain that I am guilty of not hydrating enough, and I promise I will switch to water only and use your "pineapple" tip, as well. Finally to my question: How long SHOULD it take before I see results if I switch to only water? I really want to give my body a chance to rectify this naturally before I bring in an ENT. Thank you for being a light in an otherwise, as of lately, dreary tunnel. Looking forward to getting my chops back again. Hi Kevin... raise your level of hydration significantly for a few days and you should notice a difference in your voice. The voice not considered by the body to be worthy of hydrating first (not life threatening) so give it a little time to get that water to your cords. The mucousal wave, which is set up in the mucous membrane covering your vocal cords, will benefit greatly from getting the right amount of lubrication. Also, consider the weather! Sometimes the artificial heat in the winter can create a desert in your larynx. Consider a warm air humidifier. AND... you may be experiencing low grade allergy. And finally, don't push anything. Use great vocal technique form and work your voice carefully... not challenging it too soon. Of course, if strange hoarseness continues, consult that ENT. My very best wishes for your sweet spot returning soon! You're the BEST! Thanks so much for sharing your knowledge. It is truly appreciated. May God bless, and keep you safe this Holiday Season, and always. I have a problem with my Falsetto Register. When I wake up my falsetto sounds dry, weird and thick. How can I get rid of that in a fast way? Patrick vocal cords naturally swell as you sleep. That's why we sound lower in the morning. Don't try to get your head voice going too fast. Some things to try: Drink a glass of water with lemon first thing. Possibly add cayenne pepper. Do gentle warmup exercises such as lip bubbles or tongue trills, being careful to 'pull' them (almost like you're inhaling them). Also try warming up in a hot shower, inhaling steam as you do. How much lemon do I have to use? Also, we have to dilute the lemon with water because it can irritate the vocal cords, right? I don't think I can stand cayenne pepper at all :D. When I ate it, it was like hell inside my mouth. By the way, I can go up to G6 with head voice. But my Falsetto is very limited. Do you know a way to extend my Falsetto? Exercises maybe? Patrick, yes, just try putting juice from about 1/4 lemon in a full glass of water. And do remember that I'm not a doctor, so go to one if any strange hoarseness persists for more than a couple of weeks. Exercises can extend your upper range if done correctly. It shouldn't hurt. Oh okay I'll try the lemon juice yesterday in the morning. It've been persisting for like a year lol. Dear Unknown... please do check your water intake. And... consider a warm air humidifier as you sleep. You didn't mention if you'd tried anything in this post; I recommend you do so and see if it makes a difference. The other thing is, do warm up longer but be careful not to warm up HARDER. Take time to get your voice flexible before challenging it. Please let me know how you do... thanks for the comment! Hi Carleto... if you notice too much mucous, there is a problem somewhere. Please check everything I've written about in this post, especially diet (what seems to be hard to digest for you? Eliminate or at least limit it) and amount of water (try drinking another glass per day for a week and see if it helps). And I think you'll find the pineapple juice and water works better than anything else for immediate help. I'd love to know what you discover as the root of the problem. Again... check out ALL the bullet points in this post. Good luck! Hello Judy, I have enjoyed reading all (most) of the comments on this post. I will pick up some pineapple juice, cayenne and lemmon TODAY!! I currently sing in a barbershop quartet as the bass. I have a low resonant voice and m learning how to use it more effectively. I even talk in bass! When I reach my upper range, I get a deep tickle in my vocal cords, so much so that I can't sing again until I clear. It is not always there though, only about 50% of the time. I drink over a gallon of water per day and do vocal warm-up exercises twice per day (Roland Wyatt Bass warm up). There is definitely mucous on my cords as I can feel it come off when I clear my throat, but I'm not sure of the source. I have a neti pot and will also make that a regular part of my routine. I have also had a history of acid reflux, which I am on medication for and have adjusted my diet to lose 100 pounds, but still occasionally get a flare up. Could this be a source of the mucous. I am very concerned but also hopeful! Any insight you can provide will be most appreciated!! Hi Doug, glad you enjoyed reading the post here... yes indeed, acid reflux can add to mucous excess. Another example of what's good for your whole body is good for your voice! So get that under control and it should help. Good luck! Hello Judy, this is my first visit. Thank you for your suggestions. I am turning 70' in a few months. I have sung as a Jazz, Gospel and Pop singer most of my life. Recently, I had a cold, but now the cold has subsided, I have laryngitis with lots of Post Nasal drip which causes me to cough. My doctor prescribed "Prilosec" to combat acid reflux. It appears the cough has slowed down. Next week I'll see a throat specialist (E.N.T.). Again, thanks for your Blog and all the responders. I'll keep in touch. Thank you guys for the comments; glad you find this blog interesting and I wish you the very best with your voices! Thank you for the kind words, you are most welcome! Hello, everyone. I've been sick since Wednesday (today is Saturday). When I came down with a bug I thought no problem, I'll be fine by Saturday. I'm not fine. I mean, I feel fine but my voice is a buzzsaw. I can't sing and I have a show in 7 hours! I've been drinking water and tea, taken Mucinex, I don't know what else to do. We can't cancel! If anyone sees this and knows of any quick remedies, I would appreciate it! Mitch... try the pineapple juice and the rest of the remedies I list in this post. Hot shower, breathe in steam. Warm up gently and steadily, if you know how. If you have a vocal coach, get a quick lesson. But try not to push your voice too hard... that's a good way to lose it at least for a while. I wish you the best at your upcoming gig! Thank you Judy and others. I used almost all of these remedies yesterday. I made huge improvement throughout the afternoon, and there was a short window where I was actually able to sing almost like normal. But I made it. Not fun. We're a Chicago tribute band and I sing all of Kath/Lam/Champlin's parts. I think I will look for a voice teacher. I'm completely untrained and our calendar is getting full. Thanks again...I think the pineapple juice was the hero. If your voice is just full of 'frogs' (phlegm) and doesn't actually hurt, you're ok to sing. BUT if it hurts your voice to sing those songs right now, it's not good to sing. You don't want to sing on swollen vocal cords. Rest your voice and wait until it doesn't hurt to talk or sing, then slowly and carefully work your voice back to full ability. So I'm 17 and a few days ago my mid-lower range has gotten raspy. I've increased my water and have tried a couple of remedies, but nothing works. I have a contest next month and would like to be able to sing the solo I have prepared. It sits in the range I am having difficulty with. I used to have a rich low register but now it has disappeared. Any suggestions? For your low voice, you may now be crunching or bending down for it, and you actually need to do the opposite. Try singing against a wall, with your head either touching the wall or a towel between your head and the wall. See if those lows come out better and richer. Away from the wall, keep your spine tall and flexible, and keep your head balanced over your back heel instead of the balls of your feet. And of course try the things in this post, especially pineapple juice in water, for the mucous. Hi. Lately (the last six months or so) I have been completely unable to sing a clear note. There's always a little buzz. I also get mucus at the back of my throat quite often (it decreases if I drink less milk). I've never had much of an upper register, but some of my lowest low register is gone. My many google and YouTube searches have been fruitless. Does anyone have any idea what is going on, or how to fix it? Anonymous, have you investigated possible allergies? There are a lot of NEW cases of allergies this year because of the crazy weather. The thing is, sometimes when you have vocal issues for whatever reason, you exacerbate the problem with guarded posture and counterproductive technique like pushing your voice to try and make it work. I'd suspect food or airborne allergies, even if it's been half a year. Consider getting tested by a doc, or using acupuncture or other alt therapies. And if you can, get at least one vocal lesson to check your technique. Your upper register should actually be there, so I would suspect you could learn some things that would help your voice a lot. I am in my 60s and always had a very clear, high voice. Allergies and age have caused this problem. The ENT specialist, after a scope, told me that heredity and age have caused my vocal cords to be sluggish. They do not open and close as quickly as they did when I was young. The mucous forms more easily due to acquired allergies I didn't have before, and stays there because the vocal cords stay open for longer. I am also on a medication that dries out my entire system, so I have to take in more fluids. I was told to drink warm liquids, and not to clear my throat. I also use Biotene spray, to moisten my mouth and throat. I keep a small spray bottle of this with my music folder, to have on hand. I also find mucinex (an over the counter medication) helps to loosen the fluids. It is a medication for the relief of dry cough, and it works pretty well for me, but I don't use it right before I sing. It has to be about 4 hours before. I would make two comments to your regime: First of all, the catch-22 is that when you use drying meds to cut back mucous, they dry the mucousal membrane covering your vocal cords. Secondly, you might want to investigate alternative health remedies for your allergies and thick mucous issues. I like getting tested instead of using OTC remedies, so you might look for a naturopath physician you can get to. How do you know? As in my vocal coaching, the only thing that matters, no matter what is promised or who endorses a remedy or regimen, is 'does it work?' Please let us know if you find something that changes your situation. I wish you the very best. I can relate to a lot of the others here. I just turned 60 but my vocal problems started 7 or 8 years ago and it's so frustrating. My voice used to be crystal clear with good range a strong falsetto with a lot of power and edge, now it sounds soft and airy and I struggle to hit notes. I use the Neti pot from time to time especially if I have a cold, should I use it more regularly ? I also have been taking Zyrtec allergy pills daily because it seems to help a little. I also have acid reflux which I take Nexium for. I use a product called "Mucus Clear" and it helps a list too. Went to an ENT and he said vocal chords look ok, he also did an allergy which came out negative and even had a scan done on my sinuses. He said they look normal except for a little inflammation. On top of that I had a cold in January and I still have the cough which might be bronchitis. I'm thinking since my sinuses are pretty clear that it might be an allergy. I warm up before I sing but sometimes it's so hard to get clean clear notes out. I saw some of your remedies like water with pineapple juice, which are temporary. Is there a permanent cure for this condition? I'm constantly clearing my throat all day long and while I'm singing, especially right before I have to sing a line, if not I get a hoarse gurly sound in my throat. Hello Jayman; I'm sorry you're having those vocal issues, but it shouldn't have to do with your age. If you are otherwise healthy, your voice should be doing as well as ever at 60 (unless you've taken on some bad technique). I am not a doctor, but it does sound to me that your allergies are the cause of your vocal limitations. The catch-22 is of course that taking drying medications like Zyrtec will also dry your vocal cords, and so you need to be sure to add the water and watery foods to your diet. You could go to an allergist or alternative medical healer (acupuncturist, naturapath, etc) and get tested for your specific contact, airborne or food allergies. Then fix them with either alternative remedies or avoidance. Also, unless you're allergic to it, do try the diluted pineapple juice when you practice and perform. Hope this helps you! Thanks for your quick reply. I took your advice and slept on my side and added another pillow under my head the last couple of nights and it does seem to help. I usually sleep on my back. I'll try some pineapple juice ( I live in Hawaii so it should be easy to find LOL) I also saw that you recommend a personal steamer, do these help a lot? Hi Judy, my 11 year old daughter has a very big vocal audition on Thursday and has had a hoarse voice for a couple of days with no improvement. We have tried steaming, ginger tea, pineapple juice, and vocal rest (for the most part-- that one has been harder). She doesn't appear sick in any way or have any other upper respiratory symptoms other than her hoarse voice. Any suggestions for us? We're getting a bit desperate, as we have to travel a long way for this audition and don't have the option of rescheduling her appointment. Any help would be greatly appreciated!! It's always so tough to have an important performance or audition and then get hoarse! The best advice I have for you is to make a quick trip to the doc. When laryngitis presents without apparent upper respiratory illness it could be allergies, stress, acid reflux or other. After diagnosing the probable cause, a doctor may be able to prescribe something to help. If she continues to be hoarse, consider cancelling the performance. The "Theoat Coat" tea really helped my daughter when she was in the studio. This was a highly respected producer (in the industry) and he had that on hand in the studio, so I imagine it must have "earned" that. Lol. It really helped my daughter when she was raspy. I hope that the audition goes well, but remember, sometimes God makes things go a certain way, as he has something bigger and better, but going through the experience is more necessary to the bigger picture. If that makes sense. Example: My daughter (Savannah Robinson - you can google her) won a nationwide contest for "Wataah" she was the first "Wataah Supaah Star." We were so excited, and they immediately wanted her to go into the studio (she was 10) but things didn't work out that way as she was in school and had a "life" to live. We were a little bummed out as we thought THIS was the plan. We got a call from "The Wendy Williams Show" and couldn't just drop everything and fly her to NY. Again, we were wondering if it was a missed opportunity. That was on Tuesday. Wednesday afternoon Ellen DeGeneres and Jennifer Hudson called, and the rest, as they say, is history. I couldn't agree more, Kevin- we do best when we wait for it! And yes, I did google your daughter's name... WOW what an incredible young singer! I really enjoyed her Youtube video 'Beautiful'. Folks check it out at https://www.youtube.com/watch?v=146HOid5EwI. My best wishes to you and your family as your little phenomenon's career unfolds! How do I eliminate "throaty" vocals? Unwanted "Throaty" vocals usually mean your middle voice mix is off... too heavy on the chest mechanism side. It can also mean you're articulating too far back in your mouth. The antidote is to lighten middle voice up, articulate with more of the front of your tongue and face instead of tight jaw, and mix it into the mask instead of the throat. If you'd like to explore this farther, I'd love to work with you in a lesson. I've noticed that when I strain my voice... even if it's warmed up, I get some mucus in tough to manage spots making it difficult for me to complete the set... if I could gargle with salt water or something mid hour I am fairly certain it would clear up but that isn't possible. not sure what I am doing to strain so I don't suppose I can know until I figure that out. I want to verify my assumption. Can vocal strain in the middle of a set of songs stimulate mucus production? I am not sure that vocal strain can actually stimulate mucous production that's not already there. But vocal strain can tire already mucous laden vocal cords, and it's the vocal strain you really need to address. Warming up correctly can stir up mucous, but this is good because it gets that mucous up, off and out. Then you have much less of a mucous problem during performance. But again... stopping vocal strain should be your #1 priority. You might want to read this post http://blog.judyrodman.com/2015/02/vocal-strain-what-is-it-what-can-you-do.html. I am having a heavy voice which is obstructing me to take softer notes and mucus is making it a more tough job for me to cure it.please give me ideas to make my voice thinner and melodious. Ayush... that's what this post is all about. I do hope it helps you. Douglas, thanks for your comment... I hope you'll find this post helpful in some way. Especially try the diluted pineapple juice! Put it in a bottle you can drink from at your 9am rehearsal. Help! I have to sing Taps for a Veterans Day ceremony, but yesterday, I started having problems singing. As soon as I start singing in the middle of my range, my voice squeaks and sounds like hissing air. Now I have a cough and I keep choking when I try to warm up. I need to sing at 11 today. What can I do? I can't cancel now. Listen, it sounds like you have a sudden onset of viral laryngitis. It is NEVER convenient for singers to have laryngitis, but from time to time we do, and have to cancel! Your coughing is not a good sign, as abusive to the voice as that is. Try doing what I've written in this post. Keep drinking water, with pineapple juice if you have it, get in a hot shower and continue to warmup lightly... do not push your voice! If it starts to un-gunk in the steam of your shower, you might be able to sing today. If it doesn't get better, you have swollen vocal cords, and must wait til the inflammation and infection subside. I wish you the very best! Dear anonymous... I do hope some of the things in this post help. Chronic phlegm is a signal that something is wrong usually in the vicinity of the bowel. Do get some help with your diet. Or address the air you're breathing. With good technique, you can sing above the mucous. Hit me up for a lesson if you'd like to learn how to expand your throat channel and try to sing above and around the gunk. But I know that if it's on your cords, it is a constant struggle. Try the things I've suggested, and go to a medical doc or alternative health practitioner for advice on your diet. I'm so glad I googled this issue and found your blog. I've read all your responses to folks with similar issues and I will try your suggestions. I know I definitely under-hydrate, so that will be my first step. Thanks so much for your suggestions. I'll bookmark this for further issues. Dear Dr. Rodman (just kidding ;-), thank you for the reply! You have said something that I haven't heard and I believe (or at least want to believe) to be possible, that polyps can heal. I did go through some generic voice therapy sessions through my physician and practiced techniques enough so that I was able to perform less strained, though my vocals were still deeply affected by the polyp. But my voice is still changing and the earlier gravel has disappeared (I miss it a bit). But as you know, we all fall back into our old habits and all the conditions you lay out in the link of "strain-15 causes" are waiting to reappear if I don't maintain the practices that free one from bad technique (and they have). I'm 56 and have forced my way through strain for years and ultimately, I think screaming at my dog as she chased a car down the road (a single event) or years of abuse finally caught up to my poor vocal chords. Realizing how precious they are to me, I am desperate to remedy the situation and avoid surgery at all cost. I take your wisdom to heart and with it the hope that I can get back to a finer, flowing sound through time, and defy the odds. I truly appreciate your time and your inspiration. Positive energy and wisdom are precious in this world! Thank you! Just started singing with a choir at 60 (better late than never!) and this has helped me enormously this morning. Just added some Cayenne Pepper to my hot lemon juice and ginger and it is already helping clear my vocal chords much quicker than lemon on its own. Great to know that worked, Gilly! Thanks for the comment! I have hoarde voice with strain for the past 7 weeks. It started with hoarseness in the evenings, but later extended to full day within 3 weeks. Consulted an experienced ENT surgeon, he said initially infection of vocal cord. I was on omeprazole, 1 per day with voice rest for past one month. 10 days back, dr said no infection. But even now my voice is hoarse with strain in talking. 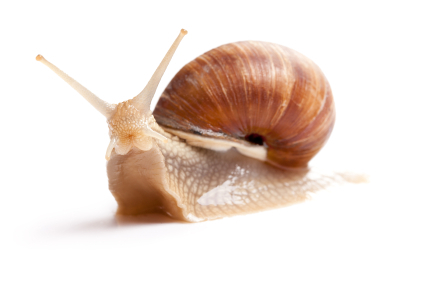 Mucus formation which was present regularly earlier has now stopped. So glad I stumbled upon your blog. I've been dealing with this for a year now (I'm 30) and haven't been able to shake this off. I've seen 2 specialists and first one subscribed me flonaise but don't want to be dependent on it and hasn't helped anyway. I've been big on caffeinated drinks, however, and not drinking nearly enough water at times. Also, I have been sleeping on my back for a few years now. So, I hope with cleaning up my diet and better sleep habits that it will improve! Thank you! Hi Judy, I think I know what the root to my problem could be I was a smoker. I used to sing magnificent, and I still can occasionally but now I have alot of flem when I try singing and also my throat keeps getting hoarse/dry and soar for three weeks now. Going on four. I'm wondering if this is the sound of intense damage to my instrument, maybe permanent? Sergio, first of all congratulations on quitting smoking... bravo! Secondly, I used to smoke, too, in my younger dumb years:) Try some of these remedies and see if they don't help. 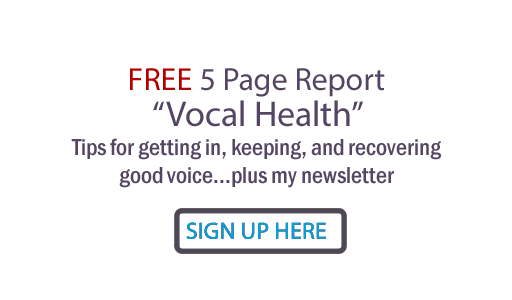 Also, you might want to visit this post... there's a free download of vocal recovery exercises you might want to get: http://blog.judyrodman.com/2009/02/laryngitis-scare-how-to-get-your-voice.html My very best wishes for your complete vocal recovery! I have the same issues. I am now only able to sing in the afternoon and evenings. In the mornings are the worst for me. I also have to eat at least 2 hours before I sing. I drink warm tea 1 hour before I sing with honey. I am 66 and want to pursue singing as a hobby in local karaoke meet ups and family gatherings but my voice is always phlegmy and not clear as it used to be. I am in good health, eat right, and do yoga at least twice a week including breathing exercises. I have a good range and can hit the notes at both ends. How can I get mucous free voice consistently. Need your guidance and help. KD, if you haven't gotten any help from my suggestions in this post, see your doctor. Anything that is puzzling needs some investigation. I am 21 years old, and have constant phlegm. I have a singing competition tomorrow, and my voice cannot sing clearly with it's full skill and potential because of this issue. Do you have any suggestions? My suggestions are in this post. Especially drink tons of water to thin the phlegm out. But check out all the other things in this post, including the lymph drainage massage. Hi Judy, I've always had a big belt voice and struggled to cover the break in my voice however as I mostly sing rock covers these days it's less of a problem. I've found lately though that I'm having a big problem with mucus build up. I'm working on hydrating and making the diet changes suggested here but am also thinking I might be pushing too much or not supporting enough to keep the rock sound in my voice. Because of this I'm noticing that it's much harder to sing the softer, more gentle and controlled stuff I used to be able to do. I noticed in another comment you do skype lessons. How would I go about arranging one? Many thanks. So much here. almost 60 and have stopped singing due to broken voice. It was sad for me. Got scoped and they said I had a lot of mucus. So I am trying to deal with it. But so many things could be causing it. I have arthritis and I think that makes me get mucus. I took vocal lessons, and it helps somewhat after warming up, but that crack is still there, esp if I want to sing softly (with feeling) instead of loud and well, loud. ugh. Most vocal teachers refuse to believe that I cannot be helped. I hope this is the case. Getting a dehumidifier this week and I will definitely take some of your suggestions about teas and exercise. Thank you. I lost my voice gradually over about six months, five years ago. It started with losing words and having bouts of lack of control, then loss of volume, and now I am at the point where making even a single sound causes me to spend half an hour coughing up mucus - it has gradually increased over this time. If I can manage singing, I have many of the symptoms you describe here - buzzing in my head, lack of control and range. I have already cut out all foods I have had bad reactions with (unfortunately including citrus), do my best to stay hydrated, and still I do not have my voice back. I have seen doctors who have done no testing and simply told me it is psychological, because I had to see a psychiatrist for an insurance claim many years ago. I have been to several vocal teachers of differing styles and been told I have perfect technique and there's nothing wrong (ha! ), that I should hum because my vocal cords are too dry, and/or that I just need to be louder. I was very grateful to find this article because honestly, I had started to think nobody would ever understand. While I will be looking through the rest of your site and trying things, do you have any suggestions as to how I could nudge a doctor into believing me enough to get proper tests done? Is there anything else (thyroid, lungs) that should be checked? Thank you. Kalli, first of all, I'm so sorry you've had this significant issue with too much phlegm. Do try the things in this post... especially the diluted pineapple juice and the lymph massage in the video. Then, go to a voice specialist... a 'Fellowship trained ENT' instead of just a regular doc. If you can get scoped at a voice clinic or center that would be the best. Do an internet search for 'voice center' and your zip or state, to find the closest one to you. You really do need to get to the cause of all that phlegm. As for psychological... you know, I've never known anyone who could head-trip them into excess mucus formation. Possible, but not something I've witnessed. And the last thing I'd say... make sure you are not pushing your voice out. Some would not even think to correct that for good technique. Yes, read my blog for more info. Good luck! Thank you Judy. I did try with my doctor but he decided that seeing another specialist would be too difficult for me right now! ARGH!! I will try to get in without a referral. I'm VERY frustrated with this phlegms problems I'm dealing with. I moved away from my country for 2 months. In those 2 months my voice was in the best shape it has ever been. No phlegms, no nothing. I could reach my top very easily (I'm a lyric tenor, I'm able to hit a C5, D5, even a F5 which is pretty damn high for a man. Then, I got back to my country recently, and got all the phelgms problem back again. So, it's clearly allergie-related. I don't know what exactly is causing it. The thing is, when I wake up, I'm smooth as hell, but then phlegms start to get in the way as the day goes on, and at some point my vocal cords just won't vibrate well enough to reach my top register. I've been to allergists, I've taken steroids, antihistamine, everything you can imagine, and still I haven't been able to get my voice back with all this phelgms... Sorry for my english! Oh my dear Emilio, phlegm problems are so frustrating for voices!! You might try alternative health practitioners (acupuncture, nutritionists, natuopaths, even chiropractic can help). And do try sipping that diluted pineapple juice unless you're allergic to it. Raise your water intake for sure. I do hope something I've listed in this post can help you. IMPORTANT: Don't push your cords to dislodge phlegm. Just gently clear... pull backwards when you do to avoid excessive air pressure.